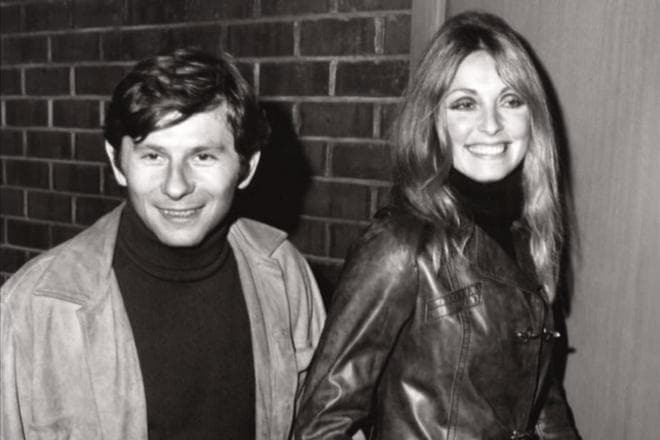 Sharon Tate was the American actress and Roman Polanski’s life. She starred in many movies including “The Fearless Vampire Killers,” “Valley of the Dolls,” and others. The woman was brutally murdered in her own house where other guests were present as well: “Manson Family” cultists committed the murder. Sharon Tate was born into the family of Colonel Paul James Tate. The girl was the oldest child among the three sisters; she was shy and had challenges communicating peers. The family had to move frequently, and it was difficult for Sharon to get close to someone. Young Sharon wanted to finish school and enter a university to learn to be a psychiatrist. However, the father was relocated again, and the Tates moved to Italy. The would-be actress found her first friends there: they were the students of the local American school. Tate and her friends served as extras in some movie. At that time, Sharon met the actor Richard Beymer who persuaded the young woman to become an actress. She appeared on a musical program and later worked as an extra in “Barabbas.” The role was minor, but Tate made a good impression. After that, Sharon tried to pass a casting in Rome. When the things did not go well, she went to the USA to look for a job in the movie industry. The family insisted Sharon should return; she did come back to Italy. However, in 1962, the entire family moved to America and settled in Los Angeles. In a while, Sharon found her first agent and got a job on TV: she starred in ads. 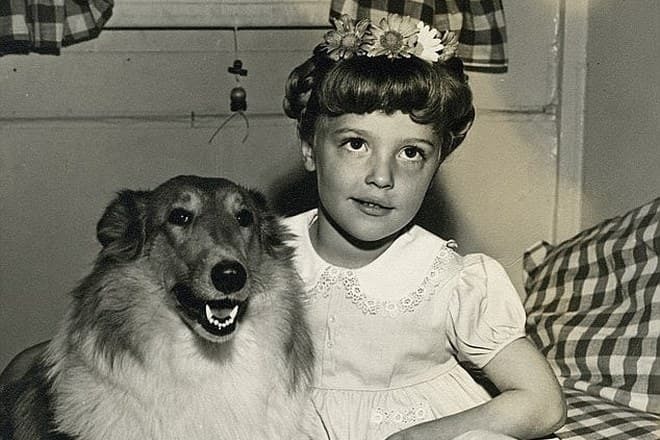 In 1963-1964, Tate played small roles in sitcoms. In 1965, Sharon Tate had her first significant role: it was the British horror “Eye of the Devil.” The actress played Odile de Caray, the witch who lived in a French mansion together with her brother. Later, Tate called her first colleagues the professionals, and she was genuinely happy to work with them. The actress had to go to London to work on the movie. As everything finished, she decided to stay in Great Britain; there, she met Roman Polanski. Sharon starred in Polanski’s comedy horror “The Fearless Vampire Killers.” She got the role of Sarah Shagal, the inn owner’s daughter living in Transylvania. As the story runs, a professor came to Transylvania to study vampires; his young assistant Alfred fell in love with Sarah. It was the director himself who played Alfred. Then, the actress went to the USA to star in the movie “Don’t Make Waves.” In 1967, she appeared in the drama “Valley of the Dolls” where she played one of the main characters Jennifer North. In 1968, Tate played the hapless spy Freya Carlson in the comedy “The Wrecking Crew.” Many people believed the actress’s further career would be bright, but her early death destroyed everything. In 1964, the actress met the Hollywood hair stylist Jay Sebring who proposed to her. Tate did not want to marry him: she believed her marriage would interfere with her career. The actress also had a short affair with the French actor Philippe Forquet. Sharon Tate and Roman Polanski’s love story began at the movie set when “The Fearless Vampire Killers” was being created. As the work in Italy was done, Tate went to London and started living together with Polanski in his apartment. In 1968, the couple married in London and went to California at once. In winter, the actress got pregnant; she was going to give birth to her child in the late summer of 1969. Unfortunately, Sharon did not become a mother: she was murdered when the labor was close. 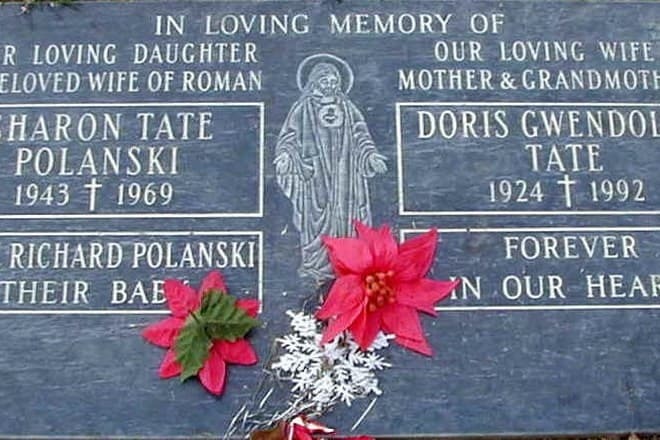 Tate was murdered on August 1969 when she was only 26. The actress was accompanied by her friends: Roman Polanski asked them to look after his wife until he came back. The director was in London working on a movie; he planned to go to Los Angeles in several days. On August 9, in the evening, Sharon and her friends went to a restaurant together. At half past ten, the woman came back to her house to meet her death – of course, she was not aware of that. The day before, Sharon’s sisters called her: they wanted to visit her and sleep over so that the pregnant actress was not bored alone. However, Sharon rejected that offer and thus saved her sisters’ lives. 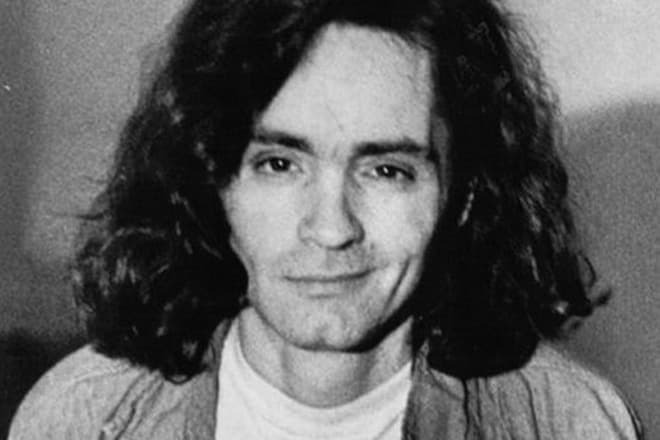 At night, the members of the cult “Manson Family” led by Charles Mansion broke in the actress’s house and brutally murdered the people who were there including the actress. Sharon begged the cultists not to kill her unborn child, but they did not listen to her and stabbed her with a knife 16 times; as a result, the woman died. The friends who were there also died of gunshot and stab wounds. The word “pig” was written in blood on the entrance door. 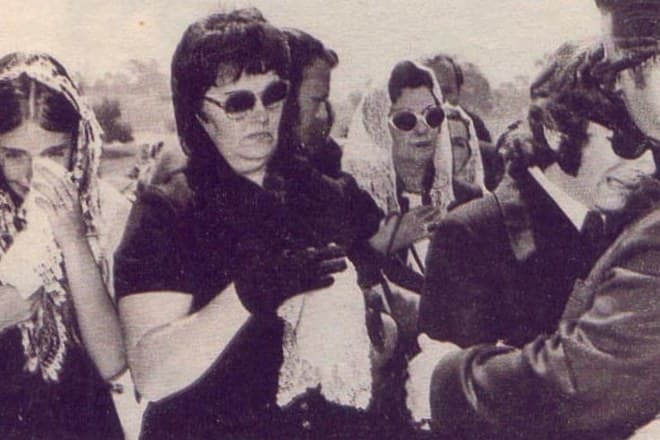 Sharon Tate’s funeral took place on August 13 on Holy Cross Cemetery in Calvert City. The actress’s child was put in the same grave. The circumstances of the death arose many questions among the police; they could not understand what the motive for the murder was and questioned Polanski about his friends and deceased wife. The director also could not explain it and started suspecting his friends. Sharon Tate’s murder provoked the outcry and paranoia among Hollywood stars. They were leaving Los Angeles together with their families, buying security systems, and hiring bodyguards. The paranoia began to fade when the murderers were arrested. They were sentenced to life imprisonment. The actress’s mother did everything to prevent the criminals from being released conditionally. 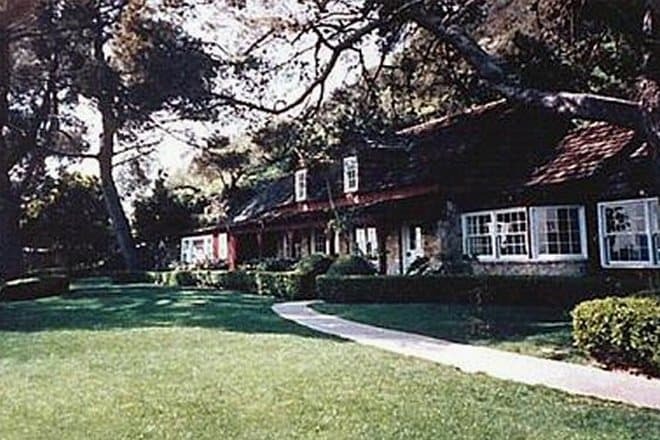 California, Los Angeles, 10050 Cielo Drive was the address of the house where Sharon Tate was murdered. In 1990, the house was torn down. Today, there is another building with a different address at that place.